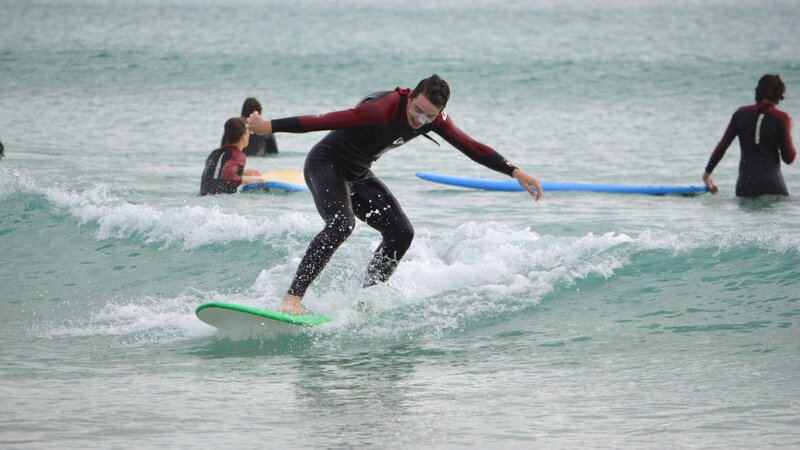 Our group beginner surf lessons will get you standing up and experiencing the thrill and freedom of surfing. Designed for anyone who wants to give surfing a try, our qualified coaches will provide all the basics for good foundations in learning to surf. Ocean awareness and safety, jumping to your feet, and catching that first wave with the emphasis on fun and enjoyment. You'll get that feeling we all know as the stoke! Please note, if there are less than 3 bookings, we cannot run the lesson, however, we can transfer your booking to another suitable date. Please call if you need more information 0412950087.